I realize that most people don’t get excited about a minivan. 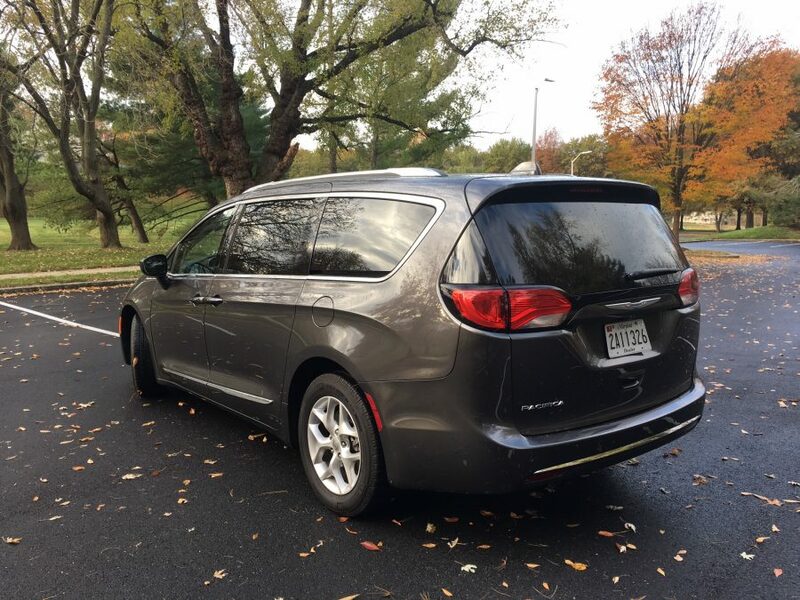 I’ve been a minivan driver for the last 17 years (nothing beats a minivan for space for big families like mine!) but I have never driven a minivan as cool as this. I think the Chrysler Pacifica might sway more than a few minivan-skeptics. It’s a game-changer. 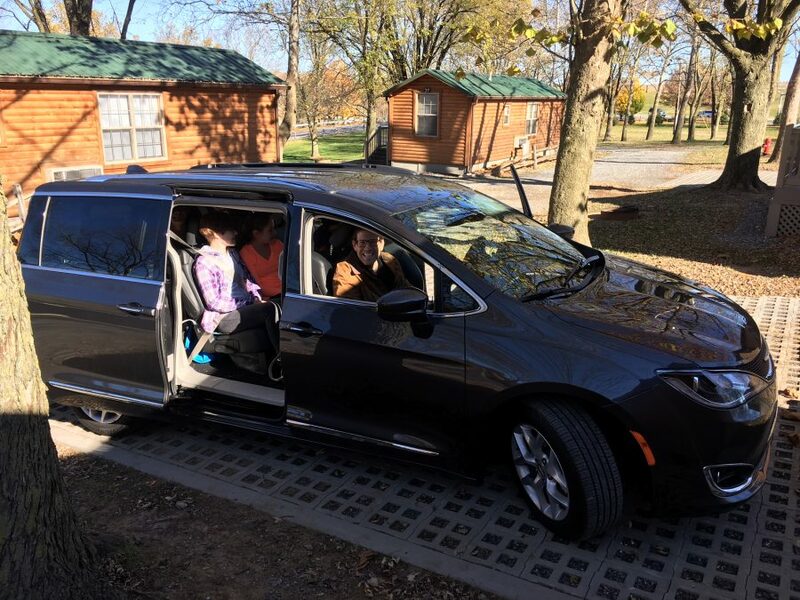 We recently test-drove the 2017 Chrysler Pacifica for a week, which happened to include a weekend trip up to Pennsylvania, with my husband, four of my kids (of the big, teenage variety) myself, and all of our stuff. I got to drive while the rest of the family got to enjoy being passengers in this one-of-a-kind vehicle. 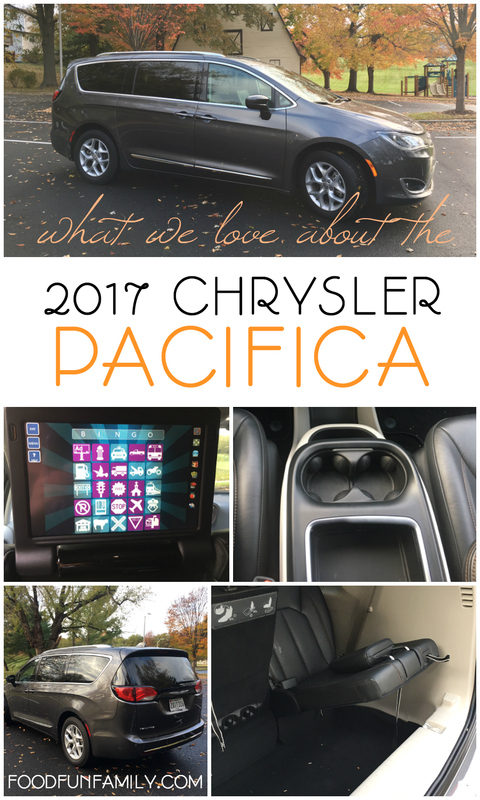 When I asked my husband’s opinion about the Pacifica, from a passenger’s perspective, he immediately commented that it was the best minivan he had ever ridden in. My teenagers were equally sold on the Pacifica, continually trying to convince me that it was a good idea for us to replace our current vehicle and ask Chrysler to just leave the Pacifica with us forever. 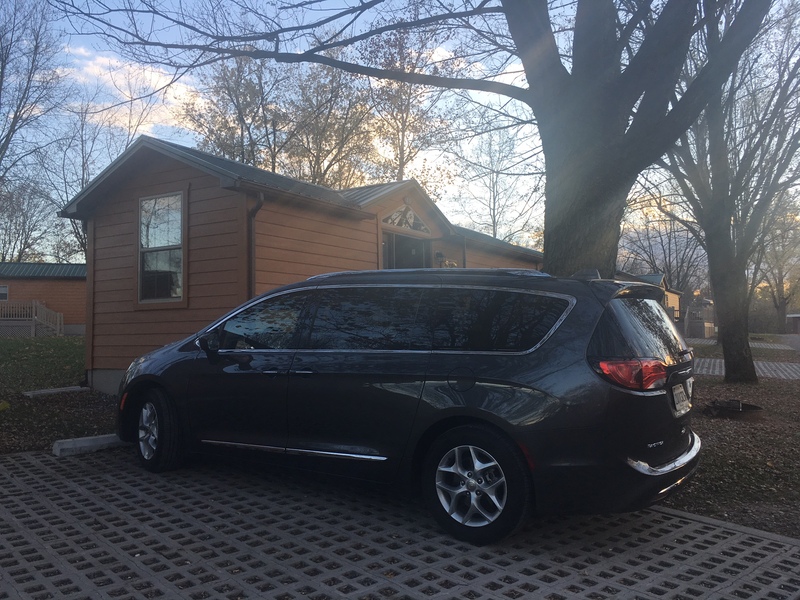 Since it seats eight comfortably, (and holds all our stuff comfortably, too) the Pacifica is ideal for a family like mine. Perhaps the coolest thing about the 2017 Pacific is that it is available in a Hybrid model. 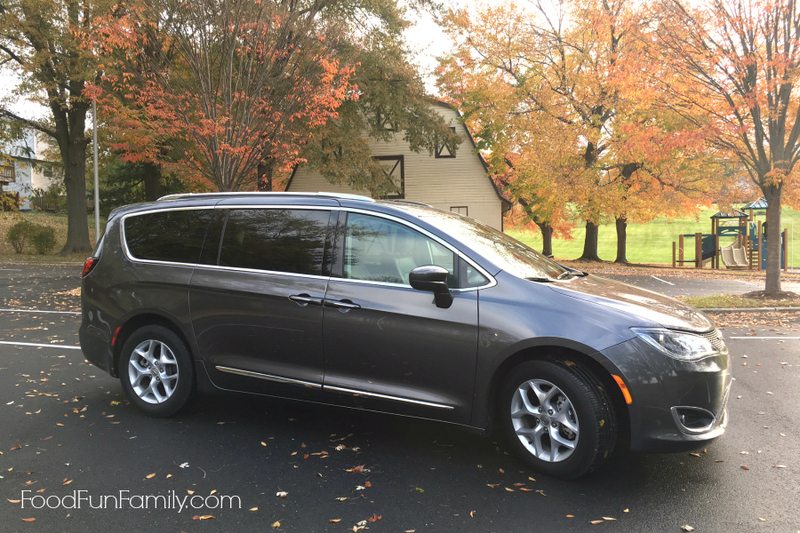 Yes, you read that correctly….a hybrid minivan for active families. That’s revolutionary. If your car is like mine (2006), it was made before the latest round of safety features. Although I have driven cars with some safety features, driving the Pacifica was like jumping in a time machine. It helps you with parallel and perpendicular parking. When you’re just driving forward it has collision warning and lane departure warning for those of you who wander all over the road (like I do sometimes). Also, these safety features have what are called “mitigation” which means they give you an audible warning before something happens, so that you can take action yourself first. Basically, it’s a safety feature that tells you that you are about to do something stupid and encourages you to change. If you don’t listen, it takes corrective action – like a parent who slaps you gently before yanking you out of the road so that you don’t get hit by a car. Lots of cars have the rear cameras now, so you can see what you are about to back into as you park, but Pacifica has rear park assist with auto stop so that you don’t actually hit the wall or your spouse’s car. Again, it’s nice to see what you’re about to smash. It’s better to have something prevent you from hitting it. Thanks Pacifica! Here’s where the rubber hits the road, or better said, how you keep your kids from hitting each other while you’re on the road. The Uconnect Theater will stream from a tablet or mobile device to the onboard screens. 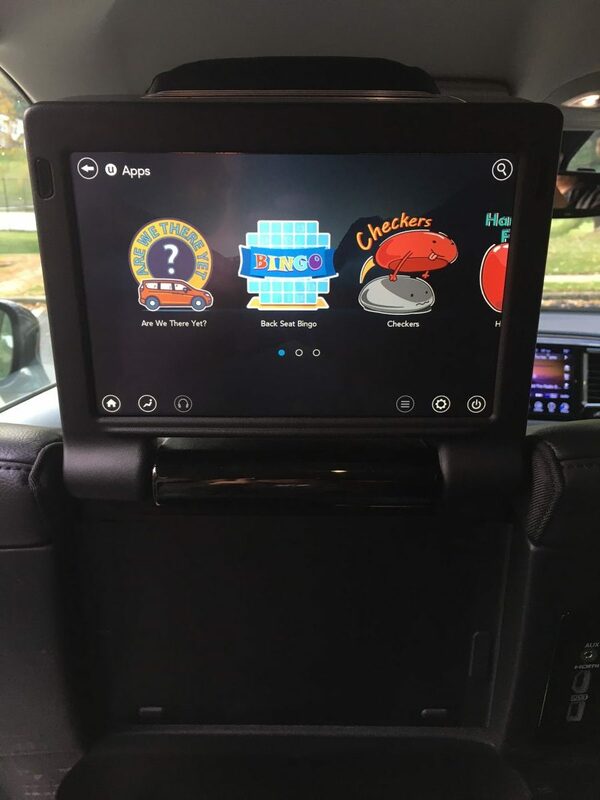 There are two 10-inch screens for passengers riding in the second row. Uconnect also has nine build in games and apps. You can play the games alone or on both screens. So, this is an easy way to end the arguments about who gets shotgun. The second row is where the action is. 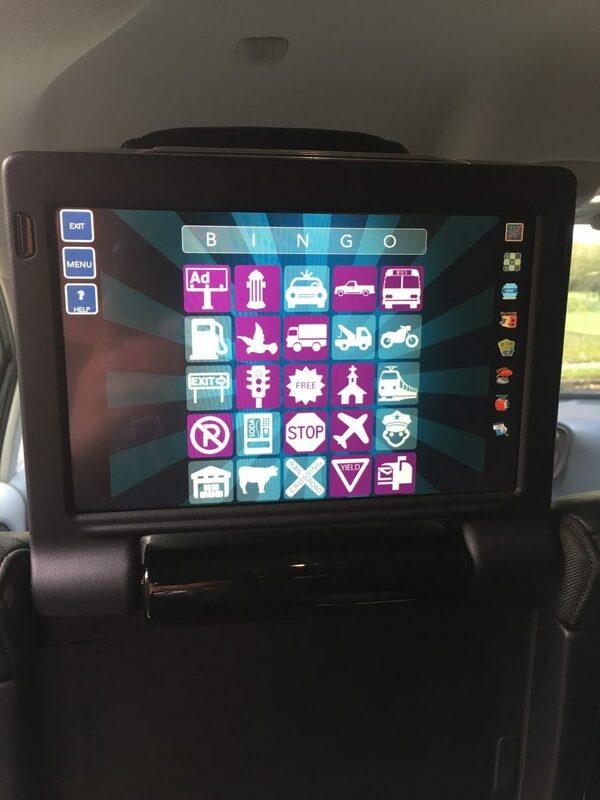 Depending on what type of system you want, the 2017 Pacifica offers options that feature an 8.4-inch central display screen with two 10-inch rear touchscreens. You can pair your screens with mobile phones, tablets and headphones, or use the built-in travel apps. 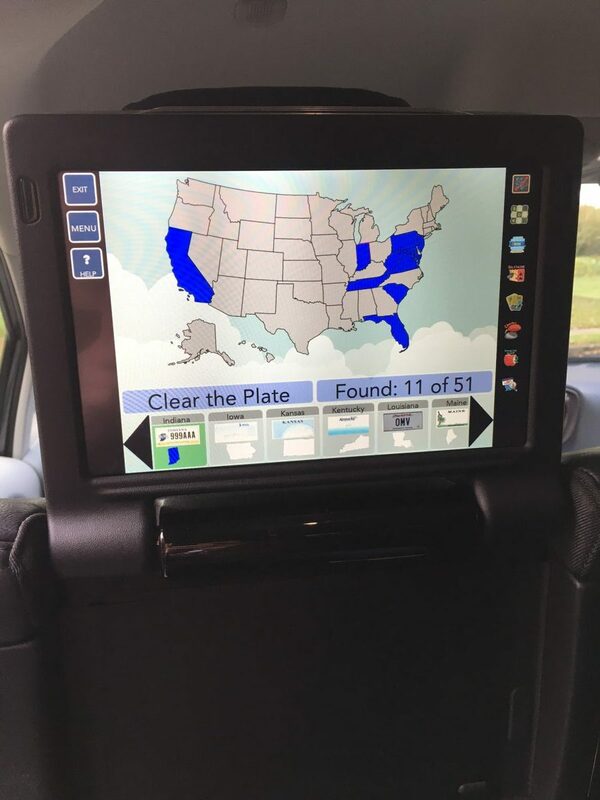 The next time you get the “Are we there yet?” you can tell them to check the app. Let’s talk cool…The Pacifica has hands-free rear hatch and sliding doors. You can’t just walk up and say “Open Sesame”, but it’s almost that good. If you have the keys in your pocket, just wiggle your foot underneath the car and “viola”, the hatch or sliding doors will open. If you don’t feel like using the fancy hands-free opening, the Pacifica’s power sliding doors open with the push of a button, not a jerk of the handle. Even the driver’s door unlocks when you touch the handle, so there’s no reason to fish in your purse for the keys. The car literally senses that the keys are there, and when you reach for the handle, it takes care of you. They also added a capless fuel filler nozzle (I can’t tell you how much I wish our truck had this. Actually, it does, but that’s only because we always lose my gas cap). 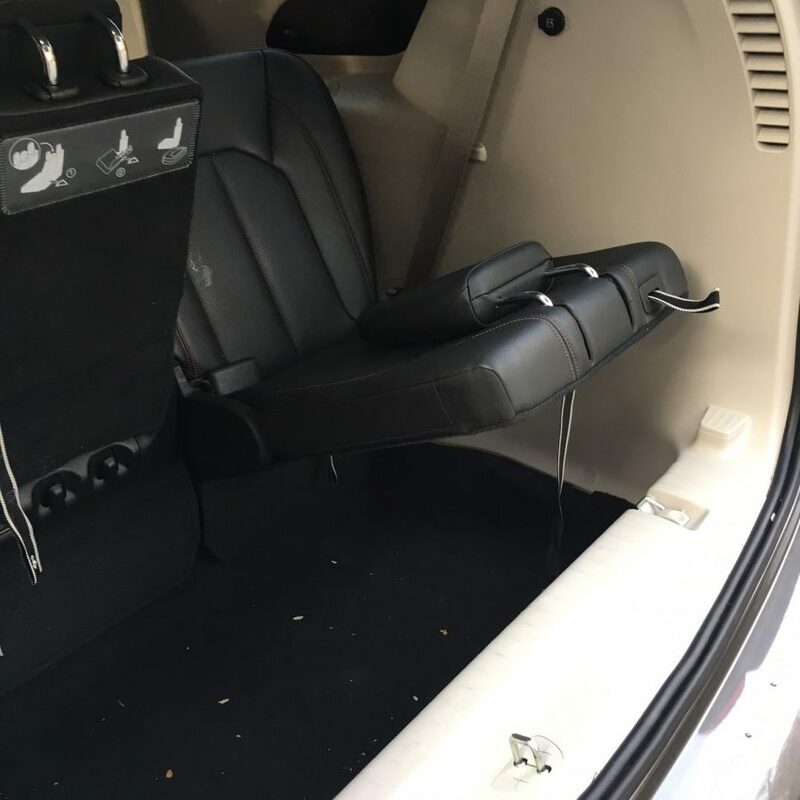 Chrysler has also added ventilated seats to cool your posterior, led interior lighting (no more dead battery when you kids leave the lights on) and one last sweet, feature – an optional tri-pane sunroof. Who cares, you ask? Well, everybody sitting in rows 2 and 3 cares, because now they can look up and see the sky, the stars, the moon and look for shooting stars. I think I’ll start sitting in the back from now on. The back had a nice deep luggage area and the rear seats were incredible and very spacious (leg room galore). You can fold them over, slide them down and they disappear. 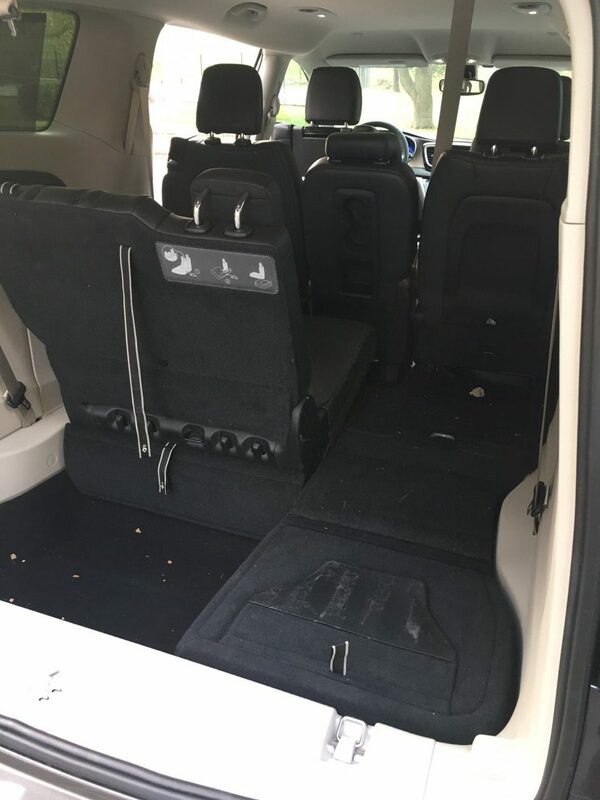 The marketing term for that is Stow-and-Go Assist Seats, but I call it “holy crap, they fold up and go all the way into the floor seats.” You’re left with a huge amount of space for whatever you need. 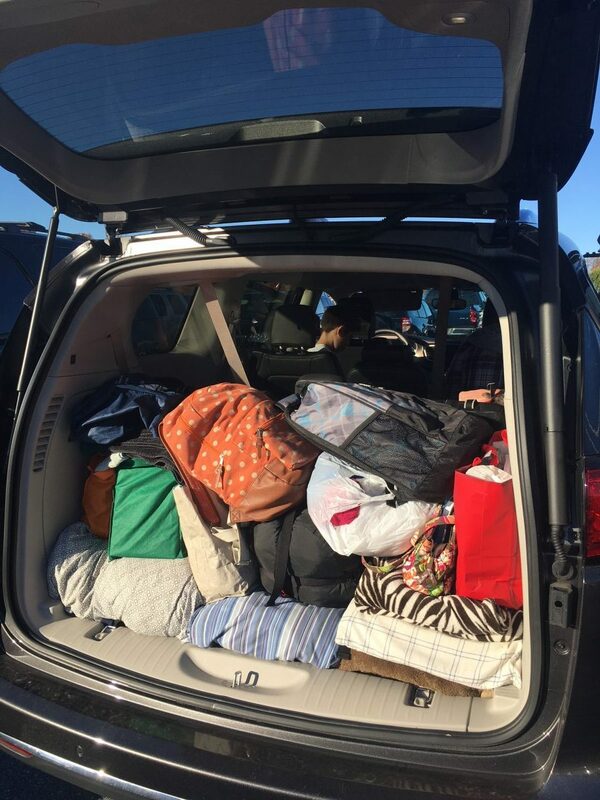 That’s bedding, luggage, and food for a cabin vacation for six! The console had everything you wanted right at your fingertips. I suggest taking a minute before you start driving so you can see everything and know how to turn things on and off. 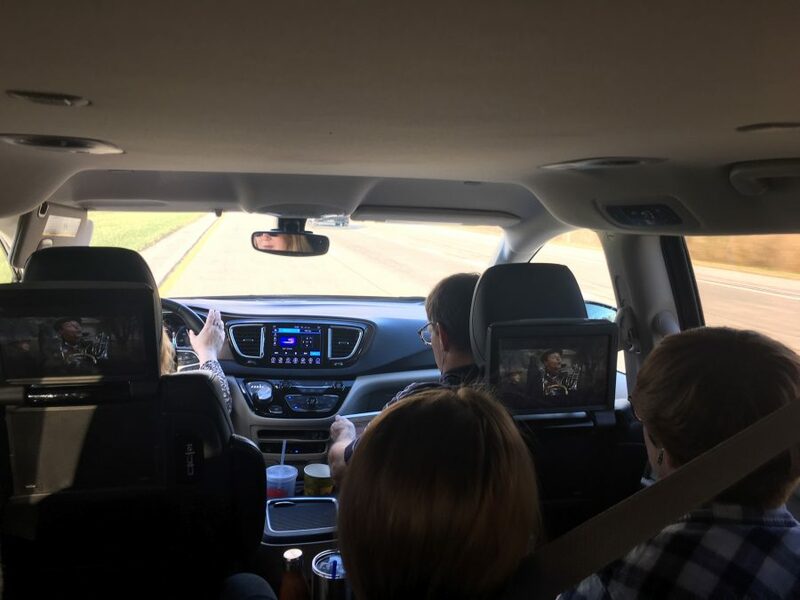 We bounced between listening to Sirius XM radio and connecting our Pandora in the front while the kids watched a movie in the back. It was nice to be able to let them do their thing while we did ours. I like having full control of what I listen to and this van was exactly what I needed. If that’s not enough to convince you that the Pacifica is a parent’s DREAM car, it even has an optional built-in vacuum (how many times have you needed THAT?!). And for everyone’s comfort and convenience, there are cupholders and power outlets everywhere! You really have to see this one to believe it. In the end, I have to say it was the coolest minivan I have ever been in. So many great features and looks so spacious! What a great looking vehicle. I’d love to test drive it! It is beautiful. Ot for sure doesnt look like the old mini van. This vehicle is nice. I love all the options. Now I need to win the lotto and I might get to drive one. It sure is spacious and so nice looking. I love it, too!